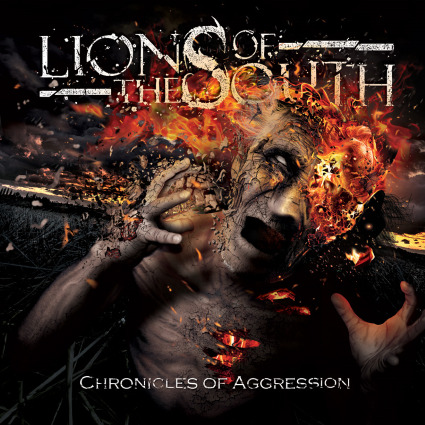 U.S. metal act Lions of the South, which formed in 2008 and happens to hail from Florida (Miami), released this, their full-length debut album and only piece of recording to date, back on January 1st. Now Rock 'N' Growl Promotion has steeped in to handle the PR for this heavy metal/thrash metal trio and, having now streamed this LP two times over, it's not too hard to fathom why they've caught the attention of said promotion! This power trio, who might technically hail from Miami even if it's fairly clear to all involved that their roots can be traced all the way back to South America, features Cristobal Perez on lead vocals and guitars, Felipe Vilches on bass and Andres Nayar on drums and, thanks in no small part to the surprisingly clean, crisp and clear production job that has taken place on this self-released slab of metal, this up-and-coming three-piece is packed with promise! The likes of Sepultura, Megadeth, Pantera (and maybe even some Slayer?) has been soaked up by this trio from South Florida and then it's been chewed up and spit out in the most venomous of ways making "Chronicles of Aggression" a blistering collection of chunky HEAVINESS! Not short on talent, Lions of the South could easily make headway in today's scene if they can build on the success of this early 2014 thrash attack! I agree with your review. Great original metal from Lions of the South! Looking forward to hearing new material.